My association with Triveni sarees is not new. I am the brand ambassador of this amazing brand and have done a post earlier on Diwali. You can read the full post here. But this was was the first time I was a part of Triveni Sangam ..an ethnic wear confluence. It was yesterday, a Sunday and that meant no need of taking leave from my clinic. But a major problem arose. Sundays are the only time when my daughter is with me the entire day. I can't justify myself if I leave her even on a Sunday. So I asked the organisers if I could bring her with me. Nupur from the marketing team was very generous and she said that I could. I was relieved and was very much looking forward to the event. The venue was Vintage 31 Cafe in upscale Mehar Chand Market. It was a cute little bistro which was beautifully decorated. 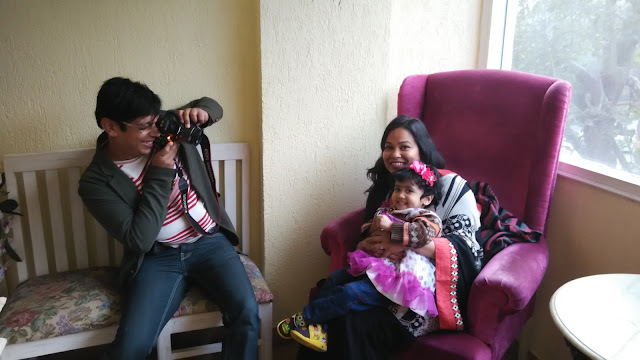 There were many known faces from the Delhi blogging circuit and I made new friends too. My daughter was elated to see so many people and she was happily interacting with everyone in her own language! 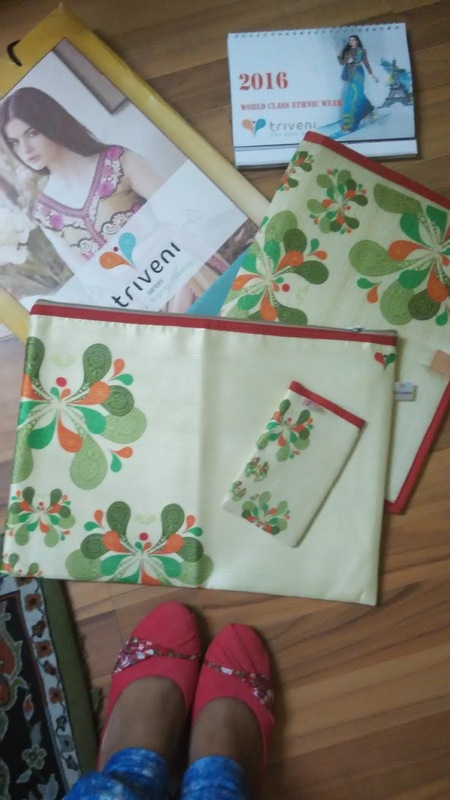 The afternoon started with introduction of The Triveni Brand by the director of Triveni Ethnics.com, Mr Arvind Sarraf. Joining him was Shalini Raj, the head designer of Triveni ethnics.Then came the gorgeous Garima who shared her Dare to Drape experiences. Then the ultimate fun began. We were asked to choose a saree of our choice and then drape it according to our taste. The best part? We could seek help from the experts. I requested Sweet Shalini to help me drape the saree in Mumtaz style. The saree which I has chosen was Art Silk (artificial silk) and was not suited for Mumtaz style. Still somehow we managed to drape it and the outcome was quite pretty (What do you think?). 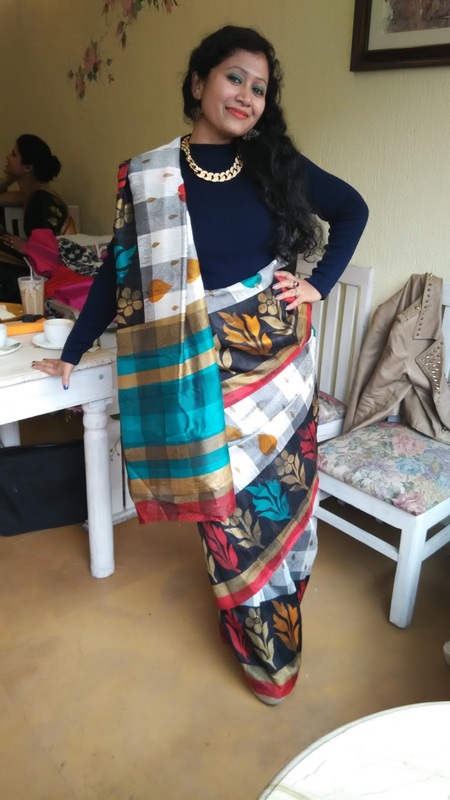 While I was draping it I did not know that we would be allowed to take that saree for ourselves! Now that was a great return gift! Before the afternoon would conclude, I chose a saree and draped it in six different ways. Shalini helped me again and I loved the wonders of the six yard. You look so pretty doll and the images are greats what a sweet event. Beauty lies in the eyes of the beholder or should I say photographer. Saari looks more beautiful when it is on a pretty woman like you. Like your blogs as they are really well written and meaningful.